Residents have bravely arrested and handed over one Mohammed Adam, 24 to police in Salaga in the East Gonja district of the Savannah Region for his alleged involvement in a Salaga- Makango road robbery. Passengers on board about six vehicles were reportedly robbed of an unspecified amount of money together with other valuables at gunpoint. The Northern Regional Police Public Relations Officer, DSP Mohammed Yussif Tanko, who confirmed the arrest to DGN Online said upon receipt of the report, a patrol team proceeded to the scene of crime. 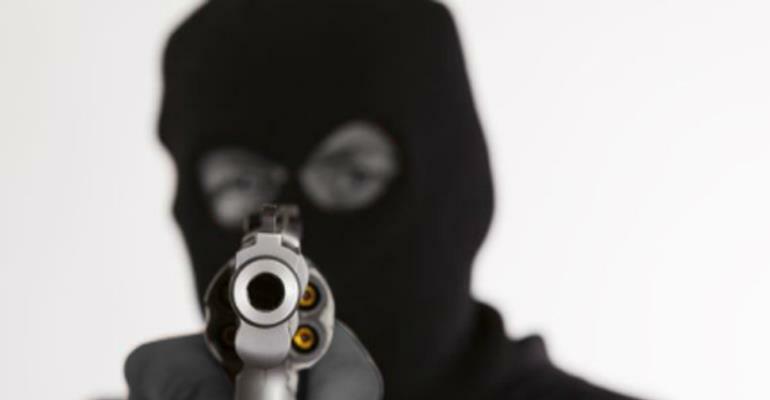 According to him, whiles on their way to the scene, almost all the alleged robbery victims were met and were assisted to lodge their official complaint at Salaga police station. He indicated that after enquiries at the scene, the team proceeded to Makango police station where one Mohammed Adams aged 24 was handed over to the police on allegations that when the information of robbery attack was received, the suspect was overheard by a witness directing some persons on phone suspected of being his accomplices in the robbery to quickly get to a secure place because he had already gotten a ticket to board ferry to Yeji in the Brong Ahafo region and stated that police are on manhunt for them. Primary investigations revealed that yesterday, a distress call was received to the effect that some armed men about seven, two of them wielding AK 47 assault rifles and the remaining five with other weapons including single barrel guns, had blocked Salaga – Makango motor road at a spot near Klinklin village. Police in the region are on a manhunt for about seven others who are on the run with their booty and messages have been sent to all police stations while the public is also entreated to be on the look out for said suspects. DSP Tank appealed to the public to volunteer information on the robbers and their hideout to aid police investigation. Meanwhile police patrols have been intensified in the area and beyond to prevent highway robberies and also arrest suspects.